Dr. Gdih Gdih completed his residency in ophthalmology at the University of Ottawa in 2009; Dr. Gdih then completed a post-doctoral fellowship in glaucoma at the University of Toronto. Dr. Gdih has also attended the Srikiran Institute of Ophthalmology in India wherehe was trained and certified in manual small incision sutureless cataract surgery (MSICS). Dr. Gdih has performed over 33,000 ocular procedures, and has extensive training and experience using the latest and most advanced excimer laser platforms. 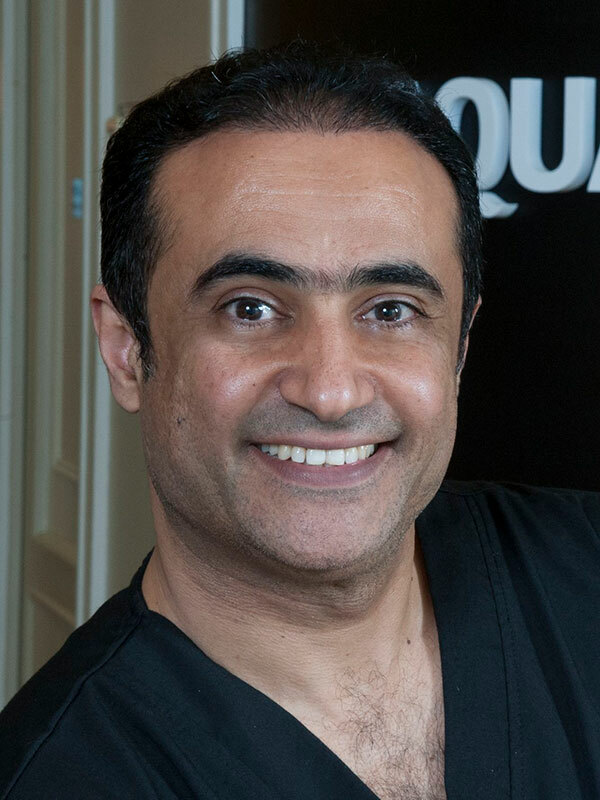 In addition to Aqua i Laser, Dr. Gdih is a staff surgeon at the Misericordia Health Centre and the Children’s eye department at the HSC in Winnipeg. Dr. Gdih also teaches Ophthalmology to medical students and residents, also an active researcher in the field of Ophthalmology at the University of Manitoba. Dr. Gdih received the Merck Frosst Best Glaucoma Research Proposal Award in 2007 and at the completion of his residency he received the Canadian Glaucoma Society/Pfizer Canada Glaucoma Fellowship Award in 2009. Dr Gdih developed a new surgical technique in glaucoma drainage devices implantation that allows glaucoma patient to have tube implants to lower eye pressure without the need for donor corneal grafts. The technique is called Graft free scleral tunnel technique which also remarkably reduces the cost for this kind of surgery. Dr. Gdih has had his research published in various international peer-reviewed journals, such as the Journal of Ophthalmology, Canadian Journal of Ophthalmology CJO, Clinical and Surgical Ophthalmology, and Evidence-Based Ophthalmology. Dr. John van der Zweep completed his Bachelor of Science in Mechanical Engineering and his medical degree at the University of Manitoba. He graduated from medical school with Distinction in high academic standing. He completed his specialization in ophthalmology with the Ivey Eye Institute at the University of Western Ontario, where he served as chief resident. Dr. van der Zweep performed over 35,000 ocular procedures, he is a Comprehensive Eye Physician and Surgeon with a special interest and extensive experience in Refractive laser vision corrective surgery, cataract surgery, oculoplastics, and adult strabismus. He also has a keen interest in the corneal disease keratoconus and is one of only a handful of surgeons in the province who is trained to perform the keratoconus treatment Corneal Collagen Cross – Linking (CXL) plus T-PRK. He is trained and certified on different excimer laser platforms. Dr. van der Zweep has presented at numerous ophthalmology conferences and is an active teacher to medical students at the University of Manitoba. He is on staff surgeon at Misericordia Hospital as well as at the GEM eye centre in Winnipeg. Throughout his undergraduate, medical and ophthalmology residency training, Dr. van der Zweep has been a recipient of numerous academic awards including: The Duke of Edinburgh Award, The Inland Scholarship as well as Technical Communication and Design Engineering Awards. His efforts in medical education have been recognized on occasions during his residency training. Personally, Dr. van der Zweep is married with a young family. He is an avid hiker, mountain biker and windsurfer. Nature is one of his passions. He enjoys helping on the family farm and spending time enjoying cabin life in northwest Ontario. Dr Stephen Brodovsky completed his FRCSC in 1996 from Queen’s University and obtained his MD degree from the University of Manitoba in 1988. He completed a fellowship in cornea and external disease from Melbourne University Dep’t of Ophthalmology, Australia and was an EA Baker and Samuel McLaughlin fellow. Dr. Stephen Brodovsky has been practicing ophthalmology since 1998. He is an anterior segment surgeon specializing in cataract, corneal transplantation and refractive surgery. He has performed over 35,000 ocular procedures. He is medical director of the Misericordia Eye Bank. He is also head of the corneal section of the University of Manitoba residency-training program. He has extensive experience in refractive surgery including Lasik, PRK and PTK (mechanical microkeratome and femtosecond laser). Dr. Brodovsky has traveled to many countries in Africa and Asia to provide voluntary service and training. As a volunteer faculty (VF) with ORBIS he has participated in programs in Vietnam, Ethiopia, Bangladesh, Indonesia and China, providing training in corneal transplantation and cataract surgery. He has also volunteered with Seva teaching cataract surgery in Nepal. Born and raised in Winnipeg, Dr. Kamila Duplak attended the University of Winnipeg where she earned her Bachelor of Science degree and graduated with distinction. Dr. Duplak went on to pursue her Doctorate degree from the University of Waterloo School of Optometry and Vision Science, graduating with honors. Dr. Duplak has a passion for traveling and is a “foodie”. In her spare time she enjoys spending time with family and friends; also enjoying the great outdoors (biking and hiking). When she isn’t at the clinic, Dr. Duplak is excited to be planning her upcoming wedding to Martin Pacak from Gorilla Jack.